Intravenous immunoglobulin (IVIG) is an intravenous administration of immunoglobulins (primarily IgG). The IVIG infusate is made by pooling immunoglobulins from thousands of human donors, thus increasing the diversity of the infusate. The mechanism of action of IVIG is unknown, as it has a wide range of effects, including local reactions with the host’s immunoglobulins and systemic changes in the balance of cytokines and chemokines. Whether the concentration level of certain IgGs or subclasses of IgG is the therapeutic agent or whether the aggregate volume of immunoglobulin is the trigger, the therapy appears to “reset” the immune system and has proven effective for autoimmune disorders. 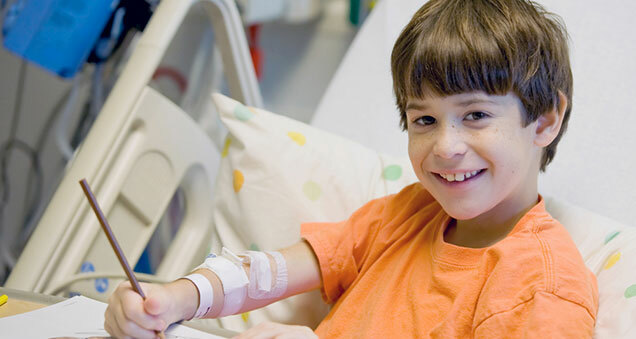 IVIG currently has FDA indications for the treatment of Kawasaki disease, idiopathic thrombocytopenic purpura (ITP), and other immune-mediated diseases of childhood. It is not yet indicated for treatment of PANDAS. However, as discussed above, IVIG has been shown, in a placebo-controlled trial, to decrease symptom severity and shorten the course of illness in PANDAS (Perlmutter et al, Lancet 1999). In addition to the double-blind trial conducted at NIH, additional support for the benefits of IVIG are provided by a small number of published case reports and shared clinical experiences. These anecdotal reports showed that symptom improvements are comparable to those demonstrated in the placebo-controlled trial. For most patients, a single course of IVIG is sufficient to produce significant improvements and, in some cases, complete remission of symptoms. Multiple monthly or quarterly infusions of IVIG have not been systematically tested for PANDAS and are not recommended (and should not be necessary, given the hypothesized disease mechanisms). Of particular concern, multiple low-dose infusions of IVIG (such as those used to treat some immunodeficiency syndromes) may worsen symptoms of PANDAS through activation of the immune system and should be avoided. Since IVIG is made from pooled human donor products, it carries the inherent risk of transmitting occult (hidden) infections. This risk must be considered as part of the “risk-benefit” analysis whenever IVIG therapy is recommended. Chronic-static cases may require more aggressive and persistent immunomodulatory therapies. Patients that fall into the category should be referred to centers specializing in the treatment of neuroimmune disorders. For PANDAS, the risk-benefit ratio for IVIG may be favorable in moderately severe and life-threatening cases because the children’s symptoms are causing significant impairments in daily functioning (see treatment suggestions below). For mild cases, the cost and theoretical risk of infection (although a small risk) outweigh the benefits of shortening the course of illness and ameliorating symptoms, particularly since there have been no studies comparing the long-term symptom outcome of children treated with IVIG compared to those who have remitted on their own. Symptom relief may occur as quickly as the first day or two following treatment, but is more commonly seen in 3 to 4 weeks, with some children seeing a delayed response occurring 8 to 12 weeks after infusion. 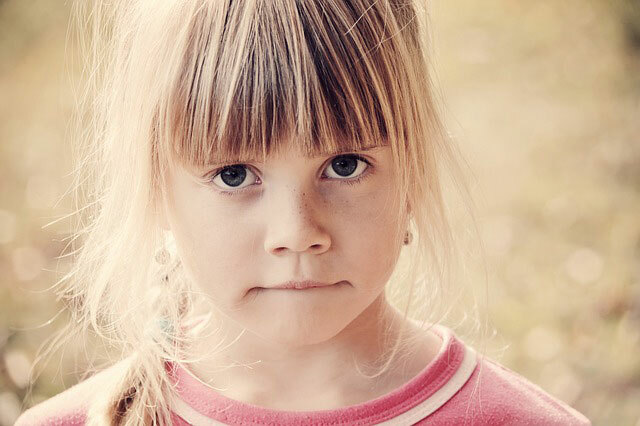 Relief tends to be step-wise, with periods of improvement interspersed with periods of continuing symptoms; at first, the child might have a good hour or two, and then the periods of remission get longer until there are good days and bad days. In a minority of cases, the response of remission is as sudden and dramatic as the initial symptom onset. More often, it is a gradual process over a few weeks. Unlike most medications whose ingredients and chemical compositions are carefully balanced so that every pill or unit is the same, IVIG consists of IgG antibodies captured from donors at donation sites across the US and the world. Each IVIG batch therefore consists of different concentrations of IgG-specific antibodies. For example, batch #1 may have IgG-specific antibodies to pathogen A, while batch #2 may have none. Therefore, the 10%-15% failure rate reported by clinicians is not unexpected. Failures of IVIG therapy also have been reported to occur when patients were suffering from an infection at the time the infusion of IVIG was given. Thus, it is important to ensure that children are free of strep infections and any other bacterial or viral infections at the time of the IVIG infusion. A short course of antibiotics might be used to clear occult infections. Additionally, early failures may occur after treatment when children are exposed to strep infections, as the exposure (even without an infection) produces an immune response. Clinicians and parents will need to work together to reduce exposure risk by instituting good hygiene practices in the home, avoiding crowded situations (like shopping malls, amusement parks, etc. ), and isolating sick siblings away from the child with PANDAS. Some children have benefited from “strep surveillance” in their schools, wherein the school nurse monitors illness-related absences and notifies the child’s parents when a classmate or other close acquaintance has had a strep infection. Antibiotic prophylaxis should always accompany IVIG therapy. For further discussion, see the Antibiotic section of Treatment Options. Should a failure occur due to an infection acquired shortly after IVIG treatment, another round of IVIG might be considered once the infectious agent or infection is cleared. While patients will suffer relapses as previously discussed, they most often are not experiencing the level of anxiety or the intensity of the symptoms seen prior to IVIG treatment. Age and length of time from onset to treatment may affect the time of recovery and impact of IVIG, although patients of all ages and years of suffering have been successfully treated. Many of the original patients of NIH are now 15 to 20 years older and are healthy. Others have also remained symptom-free, although when infected with a pathogen, especially Group A strep, must use antibiotics to control the flare-up periods. Vital signs will be measured each 15 minutes from baseline until final rate escalation. Thereafter, vital signs will be measured every 15 minutes times 2, and then every 30 minutes, and more often as indicated, until end of infusion, and then at end of infusion. 8. If symptoms as listed above (5) do occur, then infusion rate will be held at the rate of 50% of the highest rate previously achieved. Clinician will calculate specific rates for particular subject based on weight, and nursing orders will be individualized. Side effects can be treated with standard palliative medications (such as acetaminophen or ibuprofen for headache or fever). If side effects are severe, anecdotal reports support the use of a single dose of steroids (prednisone) to rapidly quell the adverse events. Individuals with severe selective IgA deficiencies have a risk of immediate hypersensitivity reactions including anaphylaxis; therefore, IgA deficiency is a contraindication to IVIG administration. Anaphylactic reactions have been seen rarely even in subjects without IgA deficiency who receive IVIG. These can be partially prevented by pre-treatment with diphenhydramine (Benadryl). An aseptic meningitis-like illness (including CSF pleocytosis) has been reported to occur rarely after IVIG infusions. The syndrome is easily recognized, and standard therapies are effective in reducing headache and discomfort. No long-lasting sequelae have been reported. There is the risk of transmission of occult infectious agents including viruses, the CJD agent, and presently unknown agents of disease. IVIG can contain blood group Abs which may cause positive direct antiglobulin reactions and rare hemolysis, leading to anemia. Other adverse events have been reported rarely in the post-marketing period, including Stevens-Johnson syndrome. Transmission of occult infections. Prior to the advent of testing for Hepatitis C, there were lots of IVIG that contained the virus, and patients receiving those infusions developed chronic Hepatitis C. IVIG is carefully screened for known pathogens. Transient elevations less than three times the upper limit of normal have been seen in aspartate aminotransferase (AST) and alanine aminotransferase (ALT). Direct Coombs (antiglobulin) tests have become positive temporarily.